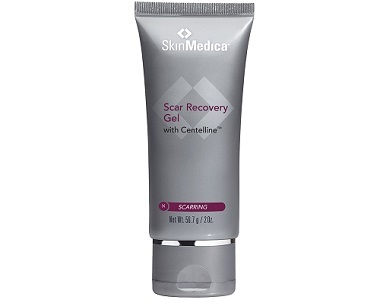 This is a full review of SkinMedica Scar Recovery Gel, a clinically formulated gel used to treat and improve the appearance of red, rough scar and scar tissue. 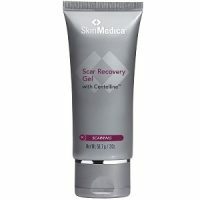 SkinMedica, the manufacturer, uses clinically tested ingredients to formulate advanced skin care products that works with the skin’s natural ability to heal and improve itself, with Scar Recovery Gel being one of those products. The manufacturer has formulated the gel with Centella asiatica, Bulbine frutescens and Oleuropein as core ingredients that work together to helps scars fade and possibly disappear completely. What’s in SkinMedica Scar Recovery Gel? The clinical formulation is mostly natural and in theory the ingredients should synergise optimally to produce scar healing and fading. The three main ingredients, Centella asiatica, Bulbine frutescens and Oleuropein cumulatively hydrate the skin, release skin tension, restore elasticity and empower regeneration from the inside. The one ingredient with a potential side effect is lactic acid, a widely used alpha hydroxy acid. It helps reduce breakouts and the appearance of wrinkles and other signs of aging. However, over time, it could accelerate aging as makes the skin more vulnerable to sun damage and ultimately possibly skin cancer. It can increase the possibility of sunburn and sun sensitivity for up to 7 days after application. We would thus have expected the product to come with some kind of warning for sensitive skin or with an absolute minimum SPF 15 built-in protection. The product is available for purchase on the product website for $44 for a 14.2g/0.5 Oz tube. This seems high for a small tube, and the price definitely puts the product in the luxury skincare price range. We were not aware of any discounts at the time of compiling this review. The manufacturer is clear that the product should only be bought through them or authorised dealers, such as certain physicians. A product bought elsewhere has no guarantee as to quality or safety notwithstanding that it may bear the manufacturer name. If there is a returns policy, we could not find any clear evidence of such despite quite in-depth research. The gel is odourless, non-greasy and fairly quick drying by all accounts. User reviews vary from the good to average. The product seems to be most effective on new scars. The main issue is its high end price tag, with some consumers stating that other products or even plain Vitamin E gave them similar results at less of a cost burden. Our advice would be always to use an SPF if applying the gel on areas exposed to the sun (see What’s in Scar Recovery Gel with Centelline?) and to test a small patch if you have highly sensitive skin. 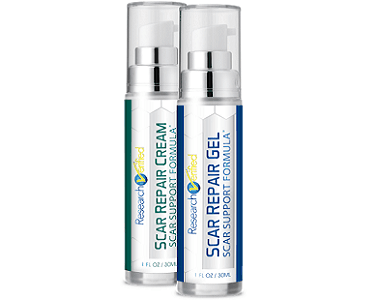 In the absence of a clear returns policy – if one exists we could not find it – using Scar Recovery Gel as a first recourse is probably high-risk.